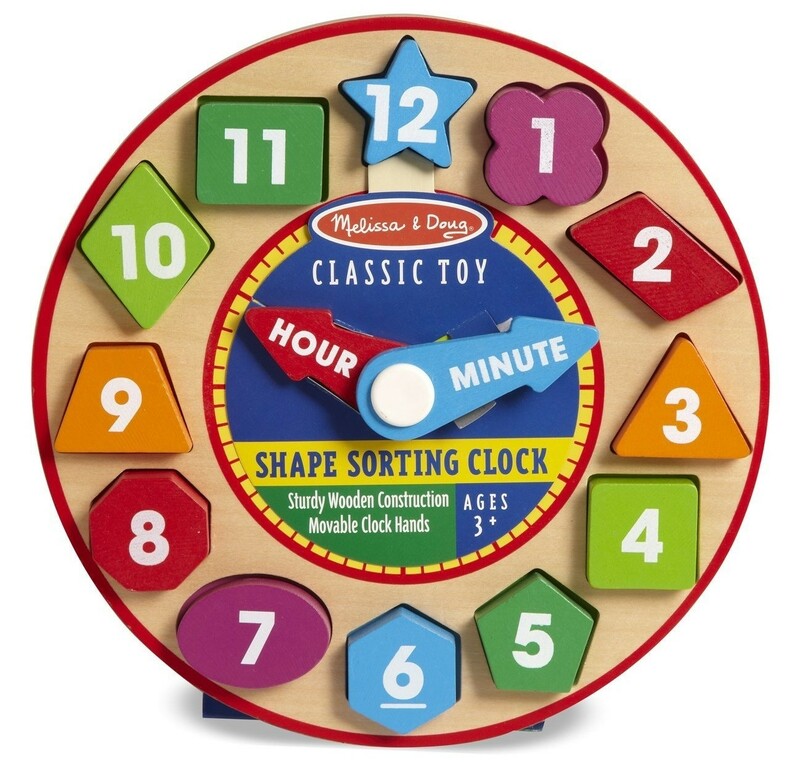 Time to block around the clock with this shape sorting clock from Melissa and Doug! 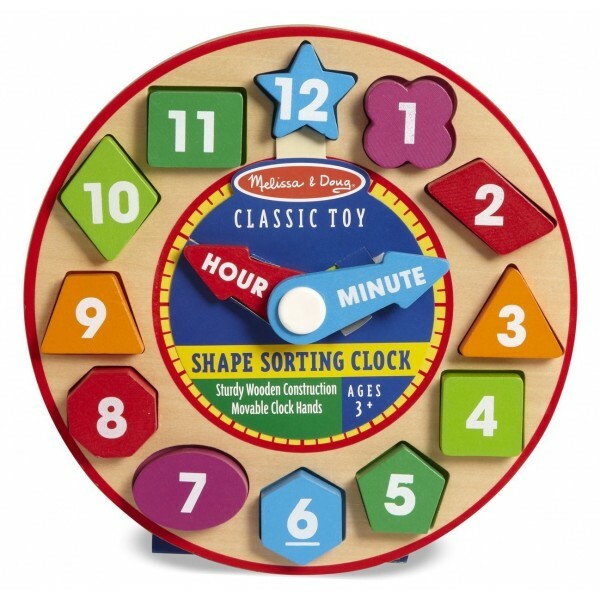 This toy combines shape sorting and learning to tell time. 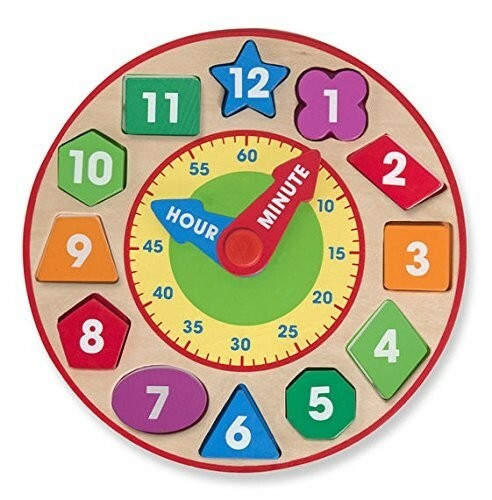 Place the colorful numbered shape pieces in their proper places on the face of the soundly-built clock, and move the hour and minute hands to make learning time fun. Complex shapes like octagons and trapezoids provide a challenge for more experienced shape sorters, and kids will love being able to tell time all by themselves.